Members of the New Hampshire Antique Dealers Association (NHADA), the Vermont Antique Dealers Association (VADA) and the Antique Dealers Association of America (ADA). Although Holly and I each had some exposure to antiques in our youth, it was not until the late 80s and early 90s that we began buying and collecting antiques in earnest. 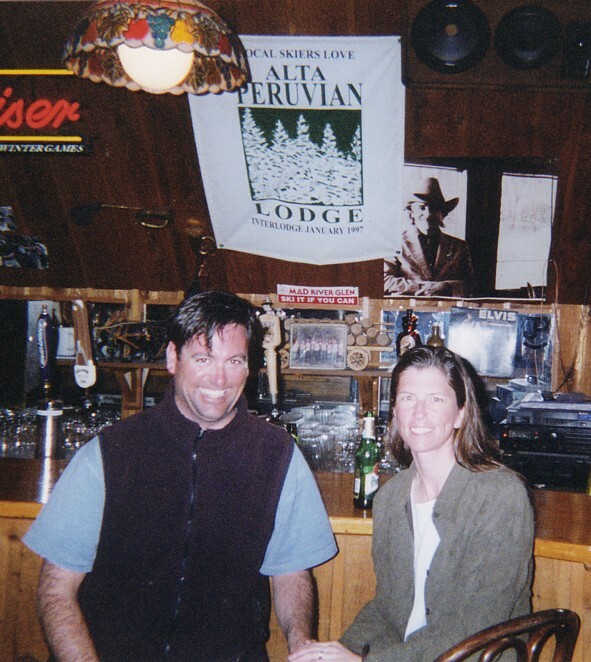 Having met at Middlebury College in the Winter of 1989, Holly and I quickly learned that we shared an interest in American History and the material culture of the 18th and 19th centuries. We began attending tag sales and estate auctions with some regularity, buying inexpensive antiques as decoration for our dorm rooms. During the Summer of 1990 I was employed by a Middlebury grad who specialized in the acquisition and sale of Antique Building Materials. In disassembling 18th and 19th century structures across Vermont and New York I gained an appreciation of Vernacular Architecture and learned much about the lives of the previous homeowners through the objects I discovered. My interest in antiques was further piqued through the tales of my employer, who had been an active bottle digger in the early 70s. It was at this time I saw my first antique bottle of significant merit (a colored, open pontiled "Covert's Balm of Life") and a journey was begun. Holly and I quickly began an active search for bottles and her first love, decorated stoneware. After graduating from Middlebury in 1991, Holly spent a year at Shelburne Museum inventorying the Toy Collection, further enhancing our interest in all things "good and early" and expanding our knowledge base. After my own graduation in 1992 Holly and I settled in Vermont and we continued pursuing antiques both personally and professionally. Holly's work at both the Lake Champlain Maritime Museum and the Sheldon Museum furthered our awareness and appreciation of the decorative arts, as did my continued toils in the building material salvage business. Soon our Ripton corn crib was filled with early objects and as our tastes matured, we began to sell many of our earlier purchases as a means of funding our now pricier desires. We set up at our first show in 1993 and found that we were able to sell bottles, stoneware and general antiques with some success. Although we maintained our "real" jobs while buying and selling at every opportunity, we dreamed of making antiques a full-time pursuit. By the Fall of 1997, our inventory and client base had expanded to the point where I was able to leave my job and enter the business full-time. We were fortunate that this decision coincided with the emergence of the internet and we were soon shipping dozens of objects each week to clients across the country, making sales and contacts through eBay and our personal websites, www.jeffnholantiquebottles.com and www.noordsyantiques.com. Our business quickly grew to a point where Holly could also leave her job and we have been working as a team since the Summer of 1998. Although we are best known for our collections of earthenware and early glass, we buy and sell all kinds of period objects with an eye towards painted surfaces and individual craftsmanship. Copyright &COPY; 2008 - All words, images and supporting code contained within this listing are copyrighted by Jeff and Holly Noordsy Antiques. The content of this page may not be reproduced, published, transmitted, or linked to in any way without prior written consent.